Who Decides About Your Medical Care in Your Workers’ Comp Case? 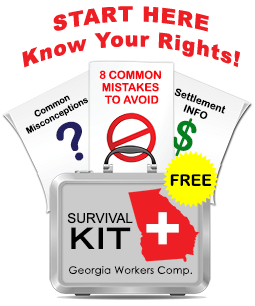 You have been injured on the job and are now receiving Georgia workers’ compensation benefits. Who decides which doctor you can see? What if you are not happy with the company doctor? Are there any circumstances when you can choose a doctor of your choice? In this video, attorney Jodi Ginsberg speaks about the rights of injured workers to receive quality medical care as well as options to change treating physicians in the event that company provided medical care is sub-standard. If you are injured on the job and you are a covered worker under the workers’ compensation law, your employer is required to provide you with medical care. However, as you may suspect, what you consider as reasonable and necessary care may not be the same thing as what your employer and its insurer want to provide. The posted panel of physicians is the starting point for your claim for medical treatment. Under Georgia’s workers compensation law, employers are required to post a list or “panel” of doctors in a reasonably accessible place for employees to see. A valid panel should have at least 6 indpendent medical providers on it and at least one of these doctors should be an orthopedist. If your employer has a posted panel, you may select a doctor and schedule an appointment, with the cost borne by the ermployer/insurer. Often, your employer will try to direct you to a particular doctor or clinic with whom the employer has an on-going relationship. Under Georgia law, you as the injured worker have the right to select from any of the doctors on the panel. You can do yourself a real favor by avoiding doctors who may not have your best interest at heart – Ginsberg Law’s extensive experience with physicians throughout the State can be a huge benefit to you if you become our client. If you choose to select a doctor on the panel that is different from the doctor that your supervisor is “suggesting,” you would be wise to ask the doctor’s office to verify that the workers’ compensation insurer has agreed to pay for the appointment. Some employers honestly do not understand that employees have the right to choose a physician, and sometimes employers and insurers will intentionally playing games with the payment of medical providers for unrepresented claimants even if those providers are authorized. If there is no posted panel of doctors, or if there is a panel that is not accessible, or if you have never been given any explanation of how the panel works, Georgia law can provide you the right to select your own doctor. As you might imagine, employers and their insurers will do everything in their power to retain control of the course of your medical treatment. You may hear things like “that doctor is not authorized,” or “that doctor is not on our panel,” or “that doctor is not in our network.” Be aware that there have been dozens of litigated cases in Georgia relating to the posted panel, and factors that either validate or invalidate the panel. Part of our job as your attorney is to identify whether the posted panel issue is something to pursue or not. To illustrate the importance of asserting your rights under workers compensation law, I would like to relate to you the story of a recent client of mine who suffered permanent nerve damage in his spine because of delays caused by the insurance company. As any reputable doctor will tell you, time is of the essence if you have a serious injury. If you have a serious injury to your back, neck, arm, knee, foot, head or hand a delay in diagnosis can result in permanent injury and inability to return to work. Our case involved a situation where a client hired us after enduring almost a year of frustrating delays in medical care. The client had a significant back injury after falling off the back of a truck. He hit the ground and had sharp, shooting pains in his back and radiating down his leg, with numbness in his toes. He was ordered by his employer to see the clinic down the road from his job. For several months, he stayed under the care of this clinic – taking medication and undergoing therapy that did not help, and actually made him worse. When this injured worker (not yet represented by our firm) asked for a referral to a specialist he was ignored and offered more therapy. The clinic doctors released him to “light duty,” which he tried to do with very limited success. Finally, after many months the clinic doctor ordered an MRI scan, which revealed herniated discs at 2 levels impinging on a nerve in the spine. Again, the injured worker asked for a referral to a spine specialist and after another full month of delay, he finally got the referral. The specialist confirmed the diagnosis of disc and nerve injury and ultimately the injured worker (now our client) underwent a fusion of his spine. Unfortunately, the surgery did not relieve his pain, because our client had incurred permanent nerve damage due to the delay in care. Company Doctor Will Not Help Me – Is There Anything I Can Do? My question is that, I’ve been out hurt for a year and 3 months with a crushed heel. I’ve seen 2 workers comp doctors and just saw a independent doctor. The independent doctor said that he could heal me,and do surgery but the workers comp doctor disputes his opinion. Now the insurance company says that their not going to let me see him nor pay for the surgery. If the workers comp doctor would have x-rayed my foot he would’ve saw that its still broke but he hasn’t x-rayed it in 6months or hasn’t seen me in 3 months and refuses to give me anything for pain. Isn’t that refusing me treatment? Please give me some advise??? Jodi Ginsberg responds: John, thanks for your question. I am going to assume that you are not yet represented. If you are, you should speak with your lawyer to discuss the reasons for the denial and what you can do about it. I would also discuss with you whether you might consider a settlement of your claim. Sometimes, when there is uncertainty in a claim (differing opinions by the doctors), you have an opportunity to maximize your settlement dollars since the insurance company faces an unknown risk in future surgeries and wage benefits. Settlement would only be appropriate if you feel comfortable that you could pursue medical treatment on your own and are prepared to assume that risk.